The master's bedroom in this house also features a play area for the kids. There are homes which are designed in a unique manner in order to suit to the needs of the family living in it. Yes, you can always have a unique design to make sure that it fit your lifestyle because we know that each of us has different needs and likes. So, there is nothing wrong with customizing a space based on that as long your home’s area could accommodate it and as long as you have the budget for that. But not all home construction is expensive. Some are affordable but will still result into something really nice and function. Do not forget that function is one very important thing. 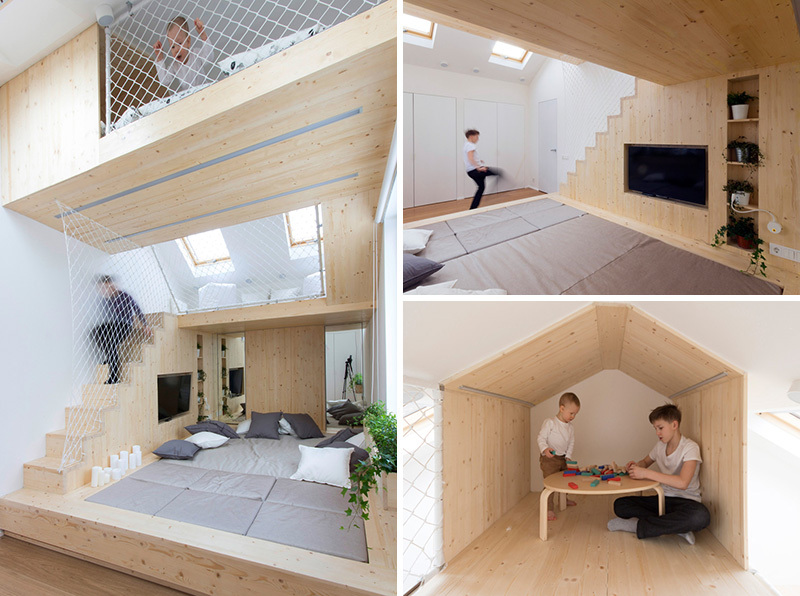 A parent’s bedroom integrated a play area inside the Summer house. 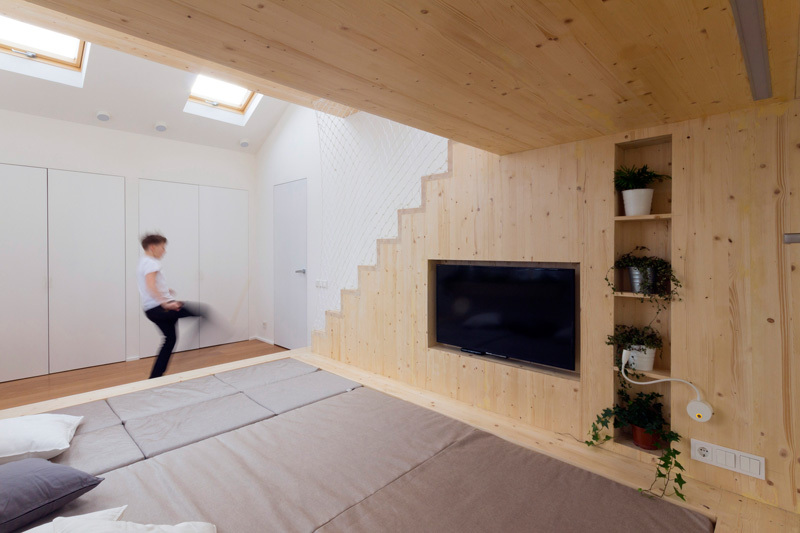 Designed by Ruetemple for Cottage Solution, which is an NTV Broadcasting Company, a playroom is seen within a bedroom in a home located in Moscow, Russia, occupied by a family of five. This kind of space is the request of the family. The owners want their bedroom to be the playroom of the kids so the children can play inside as the parents start to wake up. 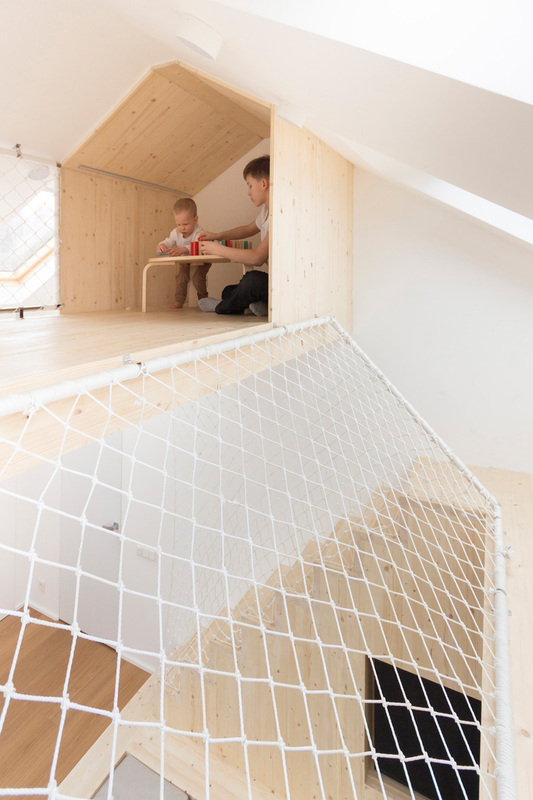 It made use of wood and the different areas were child-proofed to ensure safety by adding cushions and nets. Let us take a look at the beautiful and innovative design of this bedroom. 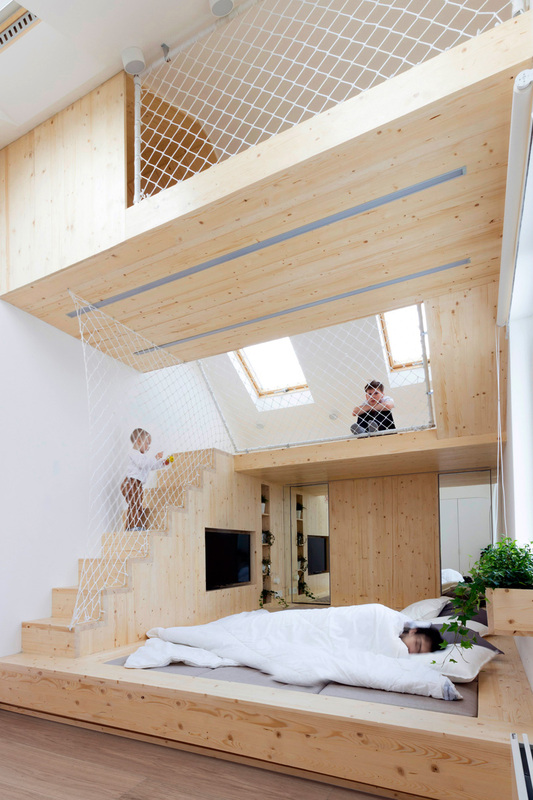 Unique feature: The parent’s bedroom has a play area made of wood and complete with child-proofing features from cushions to nets. 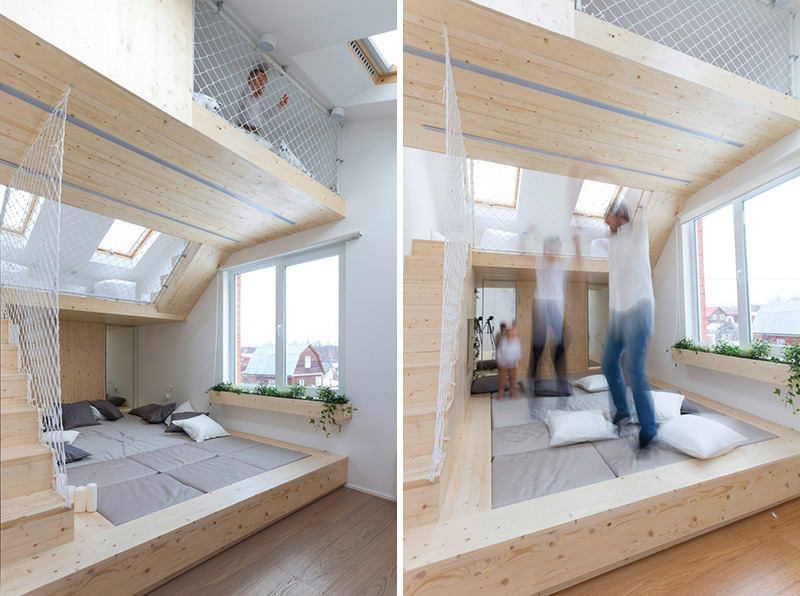 At first glance, the bedroom and play area looks really interesting and intriguing at the same time. 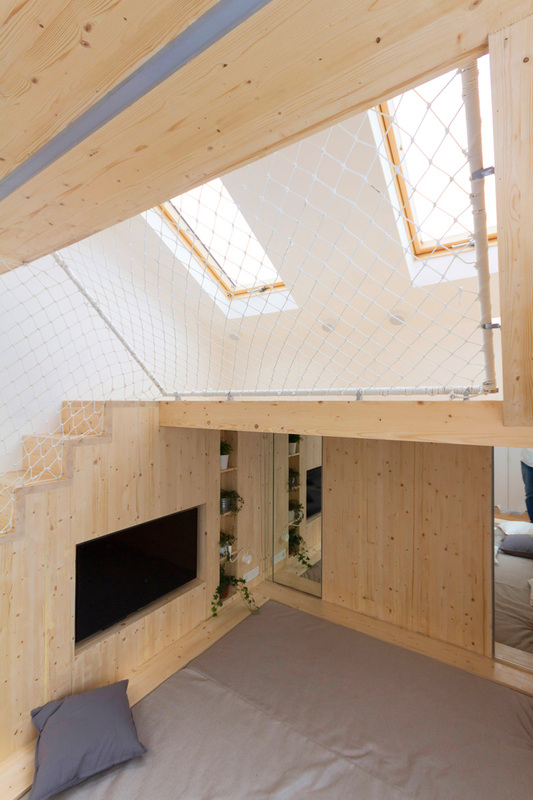 I think only a few homeowners would want a bedroom with a play area because of the desire to relax but the parents who owns this summer house has a different goal. They want to see their kids play while they are in their own private space, well, not so private anymore. 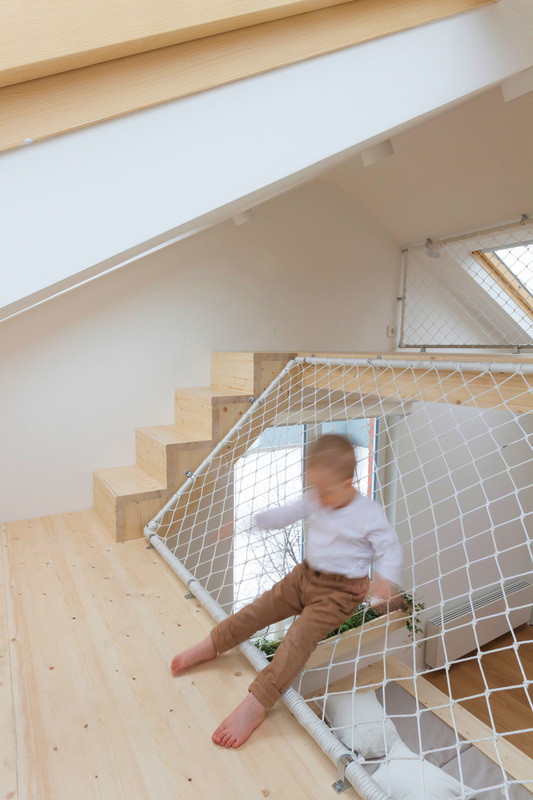 To get to the upper playing area, the kids would use the stairs that leads to a small landing area. It has nets around it to make sure that they will not fall. Notice also the candles near the sleeping area which could add a relaxing mood. But be careful with fire! The nets are properly secured as it gets tested by the children. 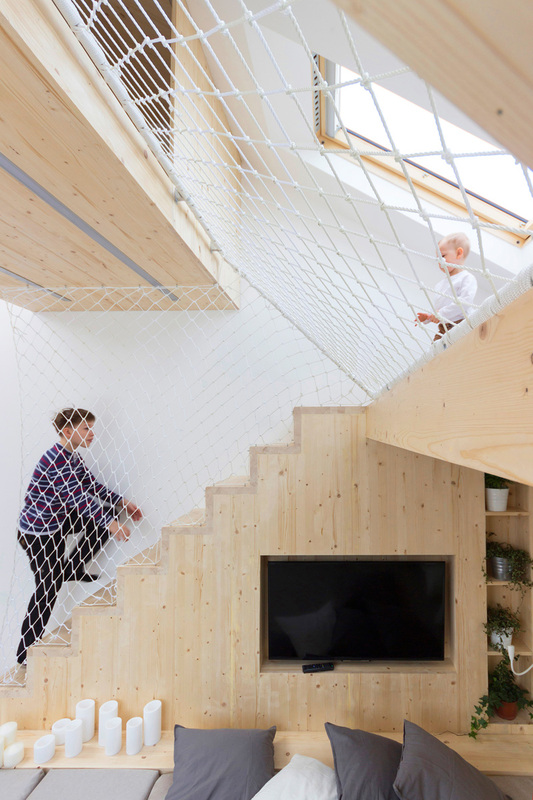 This net can also be used to go up to the cubby instead of using the small wooden stairs. So this is how it looks like inside the cubby. It has enough space for a small table and some toys. Maybe kids can play Lego or Play Dough here or maybe even draw, read and do other things. But I wonder where their toys are being kept. 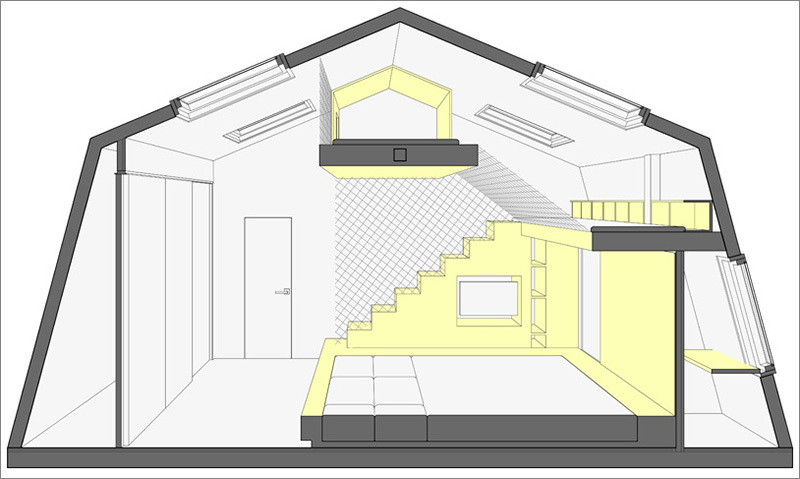 Seen here is the plan for the project, so you can make one for your own space if you want to. 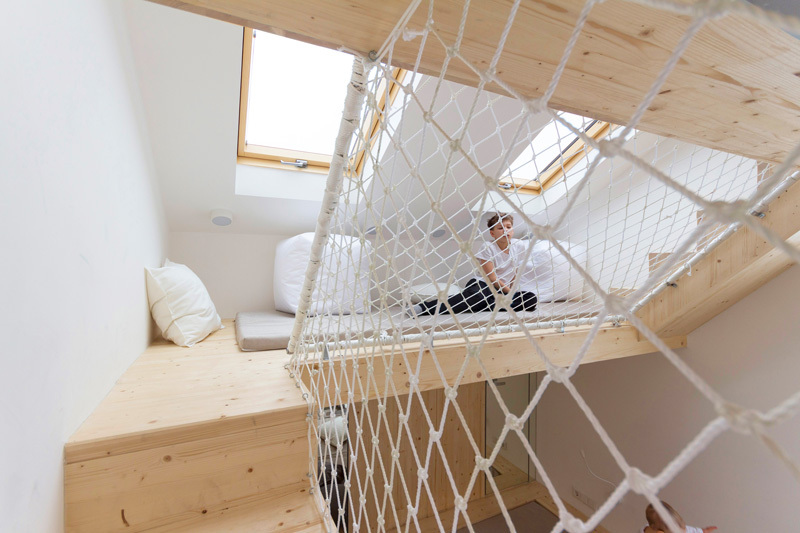 Isn’t this a nice space-saving bedroom and play area for kids in one? It sure is! And yes, you can add some colors in it too to make look even livelier. Isn’t it nice to have a bedroom like this? 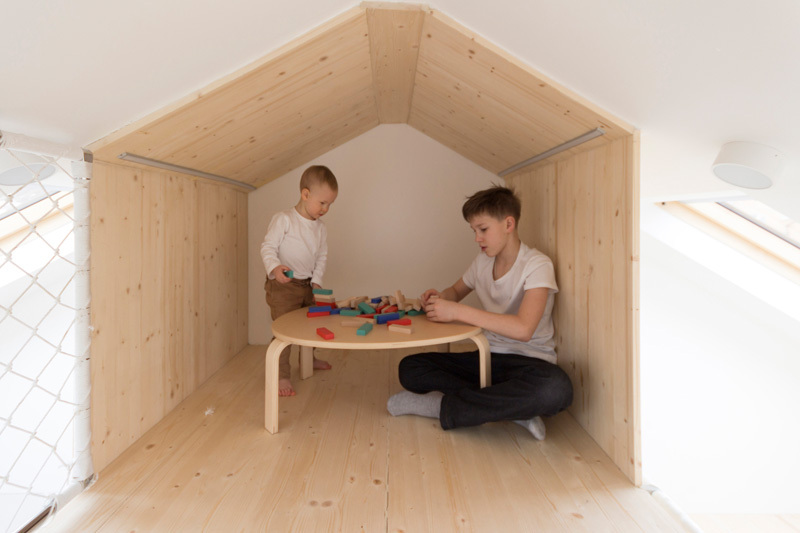 This is actually a nice way to save space and also to combine a space for adults and kids. It is a good thing that safety is considered first before anything else. 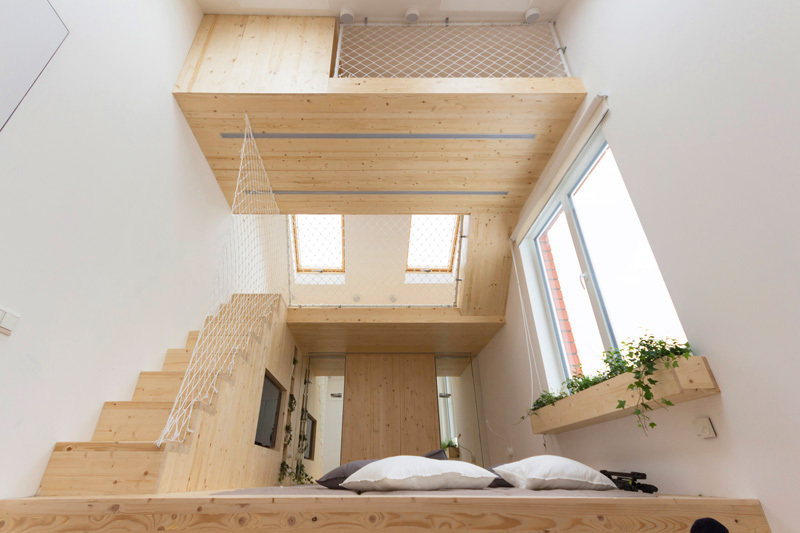 This bedroom is designed by Ruetemple and we could say that this is a good idea especially for homes with small floor area and high ceilings. For sure, kids will have a great time if you have this in your house. What can you say about this design? Is this perfect for the kind of space you want, or not? Of course, there is a downside, if you are fast asleep and you want some quite time in your own bedroom, it appears impossible since the kids might be there playing too, unless you also let the kids sleep with you.